Like the country's famed Tango shows, Argentina's stock market is hot. If you read the headlines, Argentina is in default (again) and its economy is tanking. But here's the funny thing: the country's stock market is hotter than an underground tango show on a sultry Buenos Aires night. But high rewards in emerging markets often come from high risks. Much of the money flowing into Argentina stocks this year has come from wealthy Latin American investors, particularly those from Uruguay and Brazil, according to Paul Christopher, Chief International Strategist at Wells Fargo (WFC)Advisors in St. Louis. He believes many of these regional investors have a unique perspective because they have contacts in Argentina. They're willing to look past the nation's economic problems if they think there's a great return to be made. "They know people there and can make investments feeling a little less concerned," Christopher said. "People believe the government can get out of this mess, whether that's right or wrong." But that mess shouldn't be underestimated. Argentina is still locked in a bitter battle with the so-called holdout bondholders, largely made up of hedge funds, from its 2001 default. The populist government of President Cristina Kirchner has refused to pay up, regularly referring to the holdouts as "vultures." Inflation is also out of control. According to government data, it is around 30%, but many analysts suspect it's actually twice that. 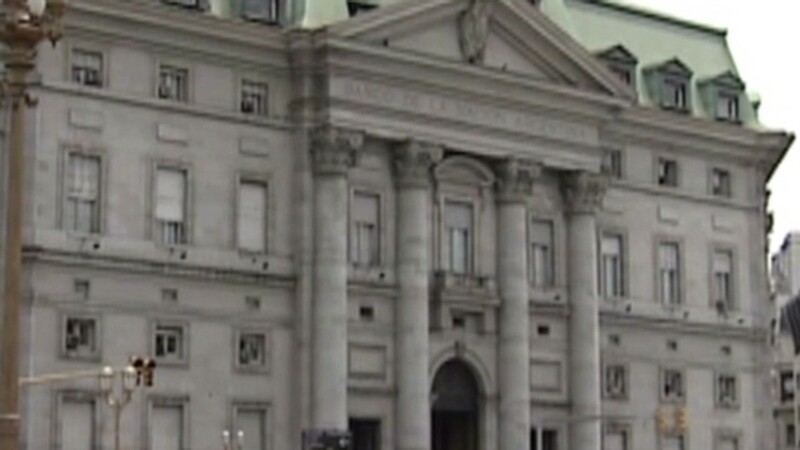 Argentina's peso has been in free fall since the beginning of the year, and there are fears that the government is running dangerously low on foreign currency reserves -- funds that are needed for a variety of purposes, including paying bondholders. The country hasn't opened up its books to the International Monetary Fund (IMF) in years. Still, Argentina's stock market performance shows that many investors, at least in Latin America, think the country can find a way out of its current malaise. Christopher noted that Brazil, which up until a few years ago was an economic powerhouse, is in recession, and the prospects there look even worse than Argentina. "People think there's a light at the end of the tunnel, that Argentina has more room to run," he said. "You get paid to take that risk."